In the Jake and the Never Land Pirates Appisode featuring “Treasure of the Pirate Mummy’s Tomb & The Never Sands of Time” preschoolers experience the magic of watching, playing, and interacting directly with their favorite Disney Junior TV show in a whole new way! 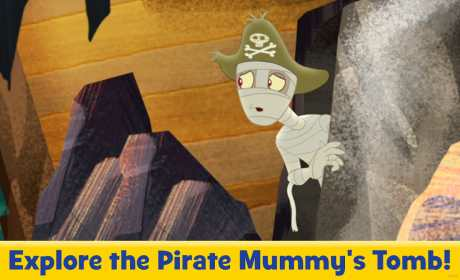 Help Jake and Captain Flynn unearth the mysteries of the Pirate Mummy’s Tomb! Then, save the day when you stop Captain Hook from stealing the golden Never Sands of Time! 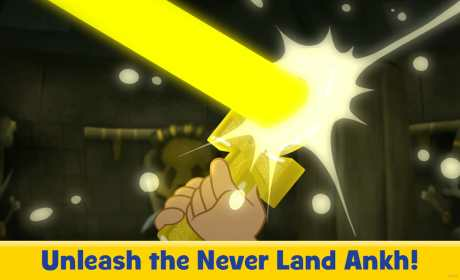 • Use the Never Land Ankh to magically move Captain Flynn’s ship! • Find the entrance to the Mummy’s secret tomb! • Help turn night back into day with the Never Sands of Time! 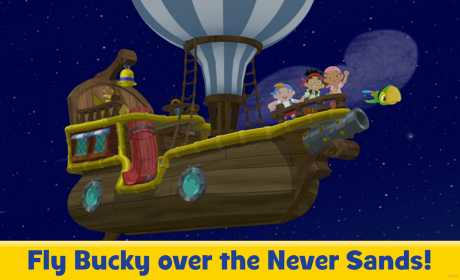 • Interactive full-length Jake and the Never Land Pirates TV episode. • Over 20 interactive activities featuring your favorite Disney Junior Jake and the Never Land Pirates characters.